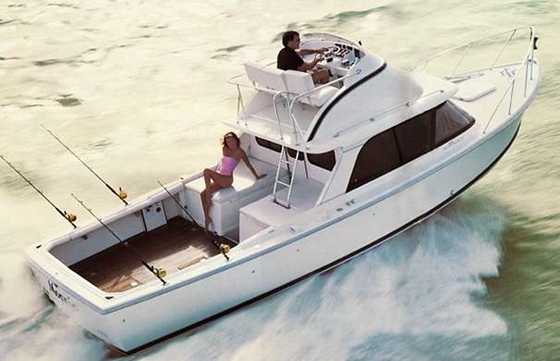 RARE FLYBRIDGE / CAT 3208 375 HP / 24 KNOTS / FISH RAISER! 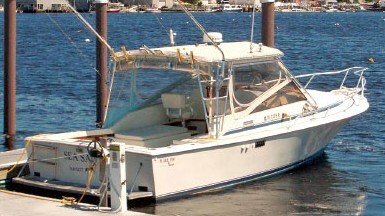 THE TOPAZ 37 SF IS A HEAVILY BUILT, SOLID-FIBERGLASS OFFSHORE TOURNAMENT FISHERMAN. SHE HAS A WELL-FLARED BOW WITH A HIGH FREEBOARD FORWARD AND A LOWER FREEBOARD AFT GIVING HER A TIMELESS PROFILE. HER MODIFIED-V HULL (17DEGREE DEADRISE) AND RELATIVELY WIDE BEAM PROVIDES A SOLID RIDE WITH SUPERB HANDLING CHARACTERISTICS. HER COCKPIT IS A BI-LEVEL ARRANGEMENT WITH THE ENGINES FORWARD UNDER THE RAISED BRIDGE DECK WITH EXCELLENT ENGINE ACCESS AND A LARGE FISHING COCKPIT WITH A TRANSOM DOOR. HER CABIN IS SET-UP TO ACCOMODATE FOUR OR FIVE WITH A STATEROOM FORWARD AND A CONVERTIBLE U-SHAPED DINETTE IN THE MAIN CABIN. SHE ALSO HAS A COMPLETE GALLEY AND A FULL-SIZE HEAD WITH A STALL SHOWER. 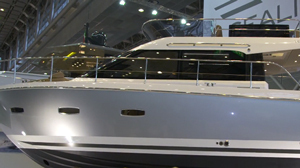 "MOONDANCE" IS A RARE FLYBRIDGE MODEL WITH EXCELLENT HELM VISABILITY. SHE IS POWERED WITH TWIN 3208 375 HP. CATEPILLAR DIESELS THAT WILL CRUISE HER AT APPROXIMATELY 24 KNOTS. 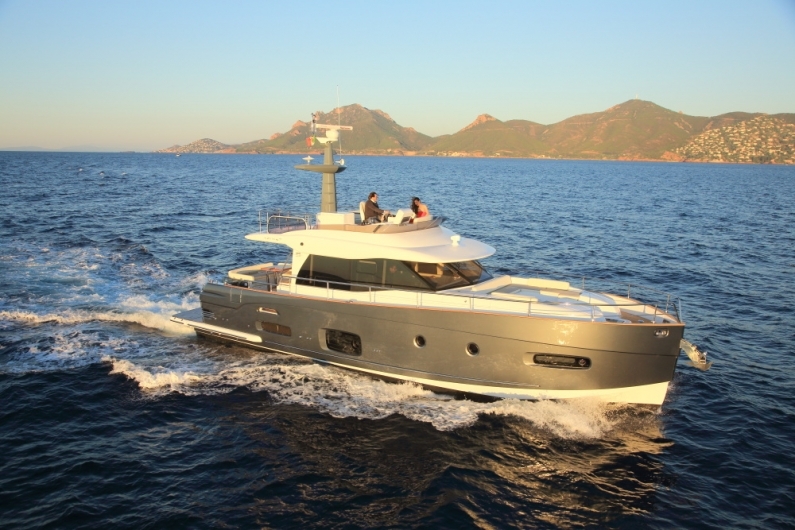 SHE HAS A COMPLETE ELECTRONICS PACKAGE WITH REDUNDANCY INCLUDING A 30' MONITOR AT THE LOWER STATION VISABLE THROUGHOUT THE COCKPIT., A COCKPIT LOADED WITH FISHING FEATURES AND A COMFORTABLE, CLEAN CABIN. The forward stateroom features a large double V-berth with storage under, side storage shelves, overhead rod racks and an overhead ventilation hatch. 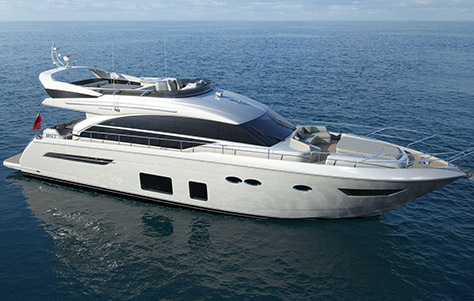 The main cabin has a raised U-shape dinette to starboard which converts to a double berth. There is a hanging locker, storage shelves and storage under the dinette seats. To port os a stand-up head compartment which features a vanity with sink, a toilet, a large shower stall with seat and an opening port, a medicine cabinet with mirror and storage lockers. The entire cabin is clean and has beautiful teak cabinetry. 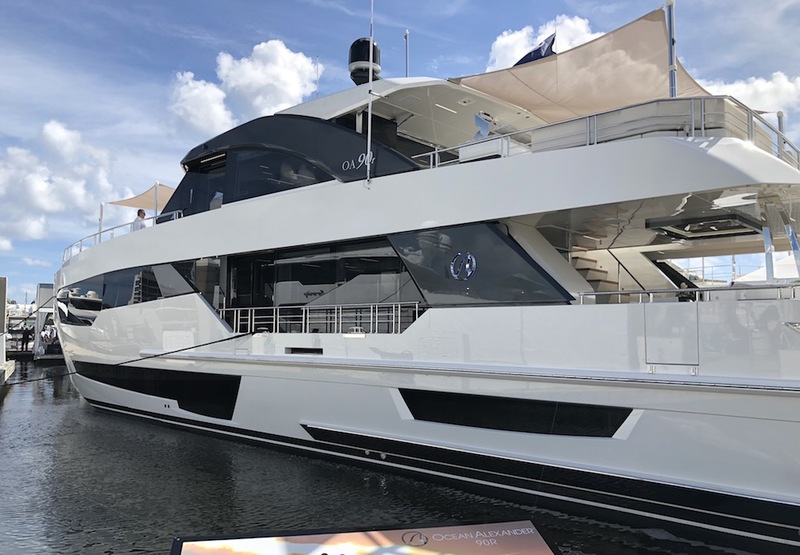 Located aft to port, the galley features a large stainless steel sink, a Kenyon dual burner stove, a Tundra under-counter refrigerator/freezer, a Sunbeam microwave and plenty of drawers, cabinets and lockers for storage.